This Concord u12 rounded off a successful season by adding the Premier Division League Cup to the league runners up position. The game started evenly, but only a few minutes in Romie pounced on a bouncing ball that the defence failed to deal with and he rifled it into the corner, 1-0 Concord. The game continued and Concords pressing game paid dividends when again Romie claimed a brace when he struck hIs second goal, a shot past the Horndon keeper, 2-0 Concord. Then some good play by Concord resulted in not allowing Horndon any time on the ball down their left but Sam, Ben Ellis, BaileyP, Freddy, BaileyR and Max all prevented any shooting opportunity and the ball was gathered by Concords captain Joe in goal. His resulting clearance kick went high and long on the breeze, but the Horndon defence didn’t seem to have learned from the earlier error and failed again to clear a bouncing ball and Romie claimed his hatrick by heading the ball over the keeper for a 3-0 lead. What’s a dream start. The game then settled with some melees at each end but nothing really threatened. Concord’s hatrick hero wasn’t happy with three goals and struck another fierce long range shot that went wide. BaileyP went close with another long range shot too, but the boys were busy in midfield but he, Ellis and Ben had it under control. A Horndon long ball caused a little confusion in Concords defence and a lightweight shot from Hordons striker bobbled its way across the goalmouth, but thinking it would go wide the ball suddenly crept in the far post. 3-1 – half-time. Second half Concord made a small change bringing on Nathan up top with Romie, replacing Max.. Ellis moved across to left side. The game was reasonably even, with Freddy and Ben soaking up the pressure and BaileyR sweeping around the back keeping the Horndon attacks at bay! But several counter attacks led to Nathan running ahead of the defence but the ball didn’t settle for him and his shot went wide. Again a string of passes by Concord created a few corners that could have resulted in further goals.. But some good passing led to Romie breaking down the left side, cutting inside for a shot was but the route to goal was blocked by defenders. He kept the ball and for few more touches and he laid off the ball square to Ellis who’s first time shot beat all and nestled in the corner. 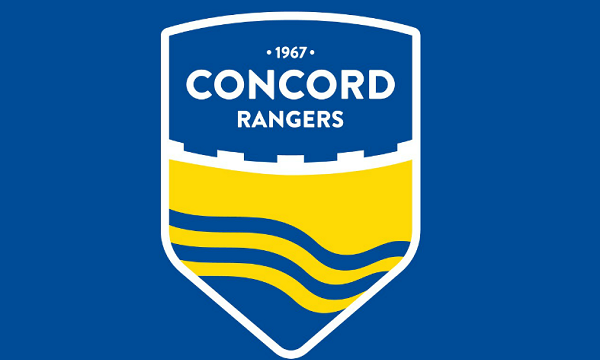 Concord saw out the final minutes to win the cup 4-1. A great end to the seasons campaign, and now the focus is on 11 v 11 EJA!